And at the center of these hubs are your local librarians, juggling reference requests while helping patrons find reliable resources. According to the Institute of Museum and Library Services, around 1.3 billion people visit public libraries every year, more than the 1.24 billion movie theater admissions in 2017. These readers will probably The book is better than the movie, too. 26,800 librarians in the US. 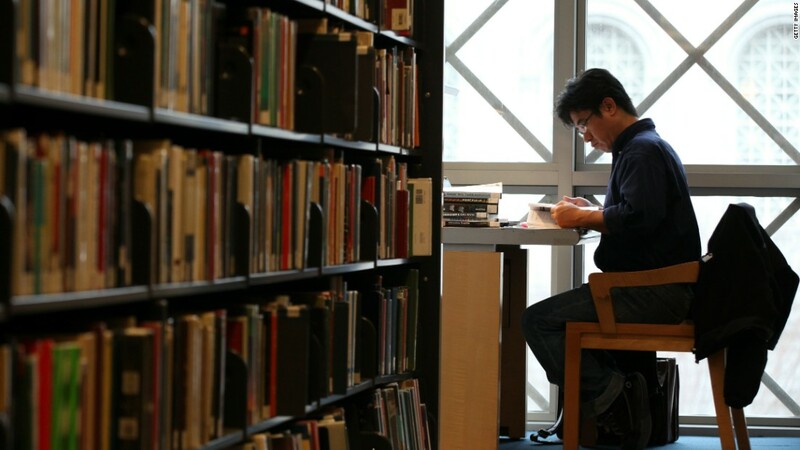 New York has the most, with 12,360 librarians. Want to work for the Central Intelligence Agency? A library degree (and the ability to pass and intensive background check) might be your ticket. At the CIA, you can earn up to six figures working in their library. The Library of Congress has been preserving recordings in the National Recording Registry since 2002. Latest additions included hip-hop group Run-DMC's 1986 album "Raising Hell," Fleetwood Mac's 1977 album "Rumors" and the soundtrack to "The Sound of Music." Former FBI Director J. Edgar Hoover, author Lewis Carroll, forms first lady Laura Bush and China's Mao Zedong all worked as librarians or in libraries. At the end of the 19th century, library work was considered to be too overwhelming for women, and in 1900, the Brooklyn Public Library Association proposed building "a seaside rest home for those who had broken down in library service. " Melvil Dewey, who invented the Dewey Decimal System, also believed women would have a hard time working in libraries because of their supposed poor health. Thankfully, these ideas began to disappear around the 1920s.